Pain in your extremities can be throbbing, shooting, or burning. And the pain may radiate from areas of the body known as tender points, and can be accompanied by numbness or tingling in the limbs. Extremity adjustments can help heal frozen shoulder, tennis and golfer’s elbow, runner’s knee and plantar fasciitis, and it all starts with a thorough examination to determine the cause of your symptoms and any misalignments in your spine and extremity joints. Schedule your appointment today. Chiropractic care helps eliminate extremity pain. 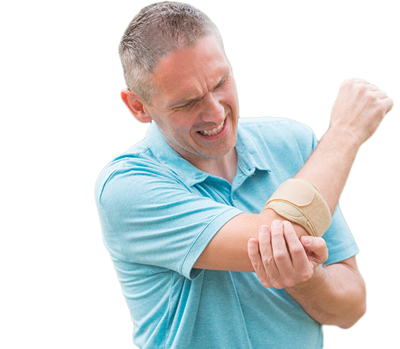 If you are suffering from extremity pain, you might be noticing the effects of stress on joints associated with your arms, legs, wrists, ankles, shoulders, or neck. Have pain in your shoulders, elbows, wrists, and hips? When people think of chiropractic adjustments, they think of spinal adjustments, which are beneficial for keeping your vertebrae in their proper alignment. We perform adjustments on the extremity joints, including shoulders, elbows, wrists, hips, knees and ankles. It is even possible to adjust the joints in your hands, fingers, feet and toes. Symptoms of injuries in the extremities include pain, numbness or weakness in the arms or legs, stiffness and trouble moving the joint or locking of the joint. If you are experiencing one or more of these symptoms, we can help. Extremity adjustments can help heal frozen shoulder, tennis and golfer’s elbow, runner’s knee and plantar fasciitis, and it all starts with a thorough examination to determine the cause of your symptoms and any misalignments in your spine and extremity joints. We typically start with adjustments to the spine. Your spine is your nervous system highway. It facilitates the transmission of nerve signals from your brain to the rest of your body. If the vertebrae are misaligned, those signals are interrupted and pain and numbness occur. We then look at your extremity joints to determine if they are properly aligned. Improperly aligned extremity joints can result in improper movements, pain, numbness, reduced range of motion and weakness. If misalignments in your extremities are observed, our chiropractor will gently and swiftly move your joints back into place. This results in a nearly immediate reduction in pain and improvement in range of motion and flexibility. Breakdown and reduction of the arthritic processes occurring in that joint. When spinal and extremity manipulations are combined, individuals experience less pain and better nervous system function, and old and new injuries also heal faster, providing long term relief and an increase in overall health. Most individuals are also able to reduce their reliance on prescription and OTC anti-inflammatories and pain medications. Chiropractic adjustments are also completely natural. They do not rely on medications, injections or other invasive procedures, and they do not interfere with traditional medical treatments, which means you can use chiropractic extremity adjustments along with the treatments from your family doctor. Getting your extremity joints properly aligned can also help with your mobility. When the extremity joints and spine are properly aligned there is less pain and discomfort when walking, running, climbing stairs and sitting and standing. Since individuals are better able to move, they become more active, which helps burn calories and increase muscle strength.